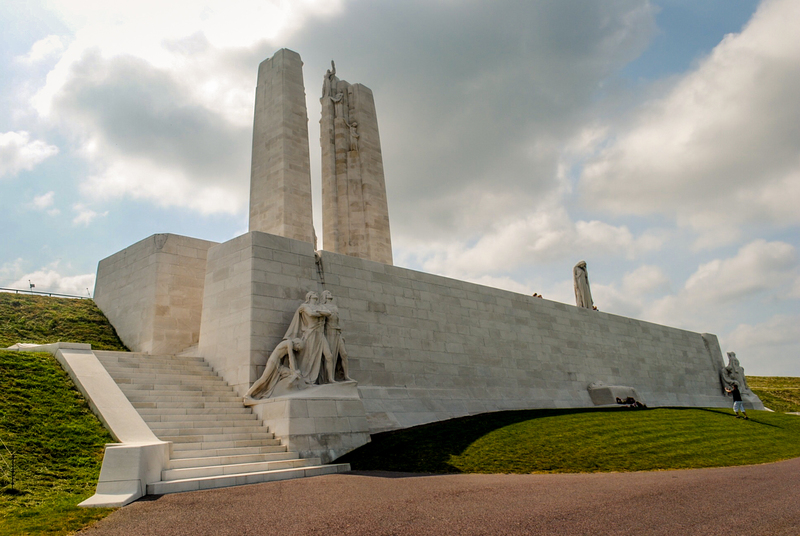 My friends Barry Canning, Lloyd Reid and I visited Vimy Ridge as part of a trip to Northern France to pay our respect to the war dead of the Royal Newfoundland Regiment at Beaumont-Hamel about 40 kilometers away. Obviously, Newfoundland wasn’t a part of Canada during the First World War and wouldn’t be until 1949, but as Newfoundlanders we were just as moved by the contributions of the Canadian Forces as we were by the sacrifices made by the RNR. We were also happy to see a busload of British high school students visiting the memorial with their teachers. 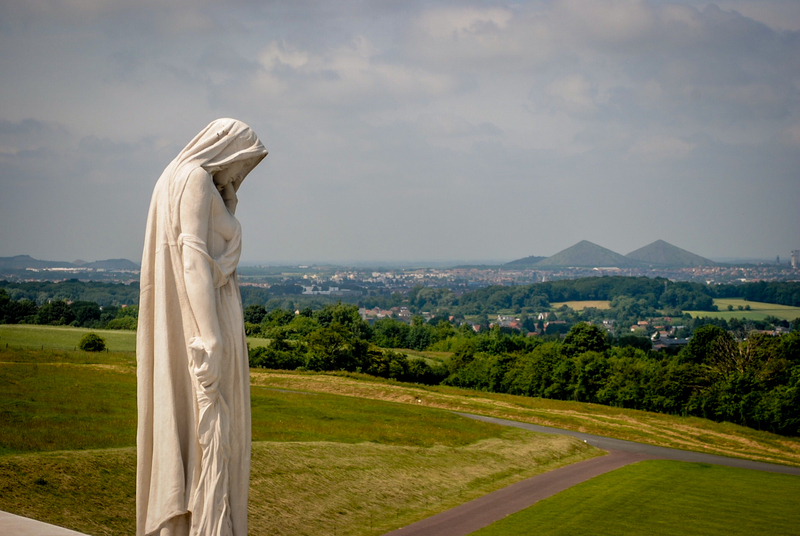 The park is nearly 100 hectares of parkland, preserved trenches and cemeteries, meticulously maintained, scenic, awe-inspiring and able to stir deep emotions in the visitor. Shot with a Nikon DSLR and iPhone 5, 3-5pm on July 10, 2013. As you approach from a distance, you get a look at the monument as a whole. When you get closer, it fills your field of vision. Overlooking the plain, the Front Wall represents an impenetrable line of defense. The sculpture of the figures on the near corner is called Breaking the Swords. Mother Canada Mourning Her Fallen Sons. She is sculpted from one 30 tonne piece of limestone. 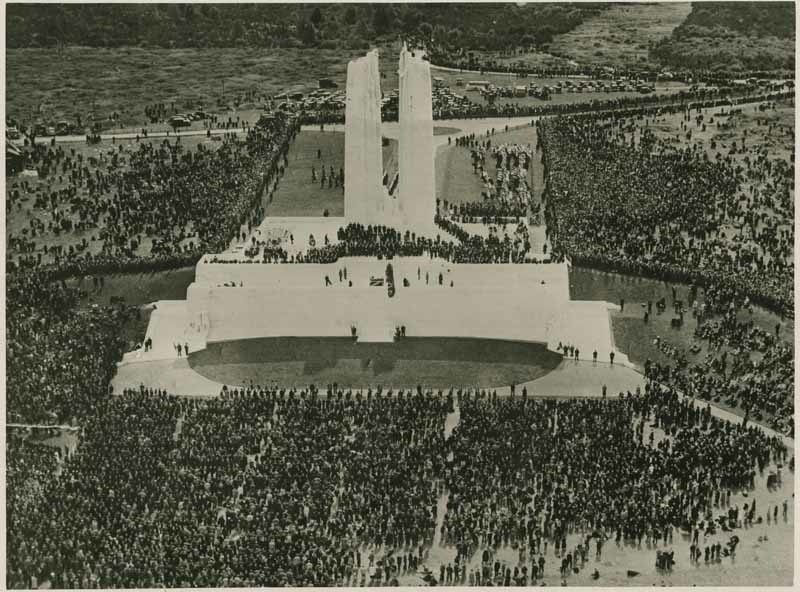 The almost 30,000 tonnes of limestone used to construct the entire memorial were brought to the site from an abandoned Roman mine on the Adriatic Sea in present-day Croatia. In the background, the plain of Douai. The 2 monolithic pylons represent Canada and France. Canadian Cemetery #2. 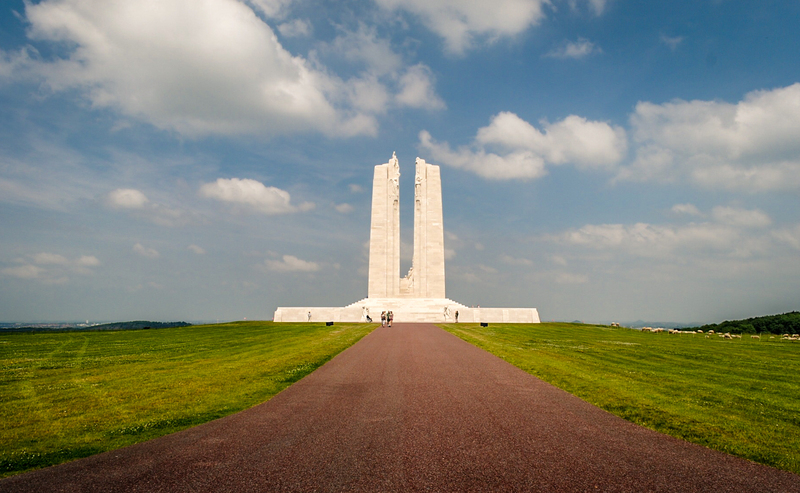 Containing the graves of hundreds of Canadian soldiers who died during the Battle of Vimy Ridge. 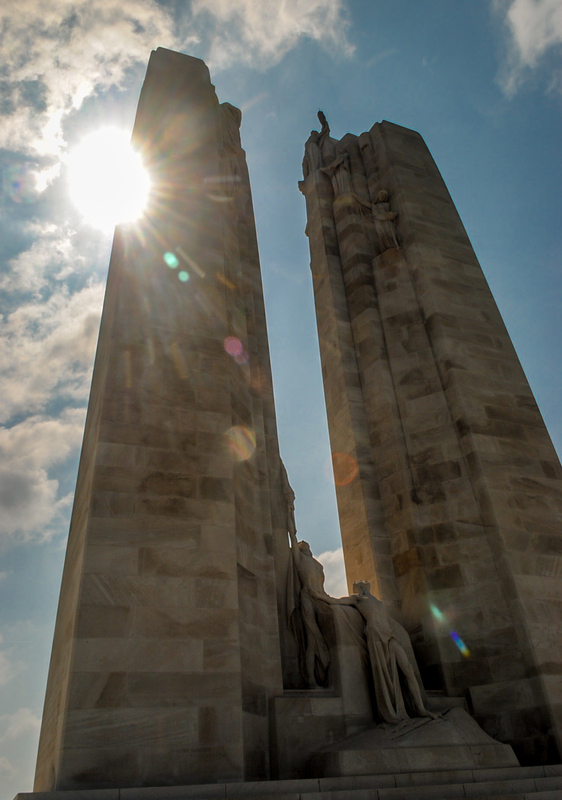 Canadian war graves, Vimy Ridge Cemetery #2. The groundskeeper told us there is always a flower blooming next to every headstone, no matter how remote a corner of the site it may be located. These Canadian gentlemen were at Cemetery #2 paying their respects. Somehow they recognized us as Newfoundlanders… maybe our accents. Barry Canning at Canadian Cemetery #2, Vimy Ridge. 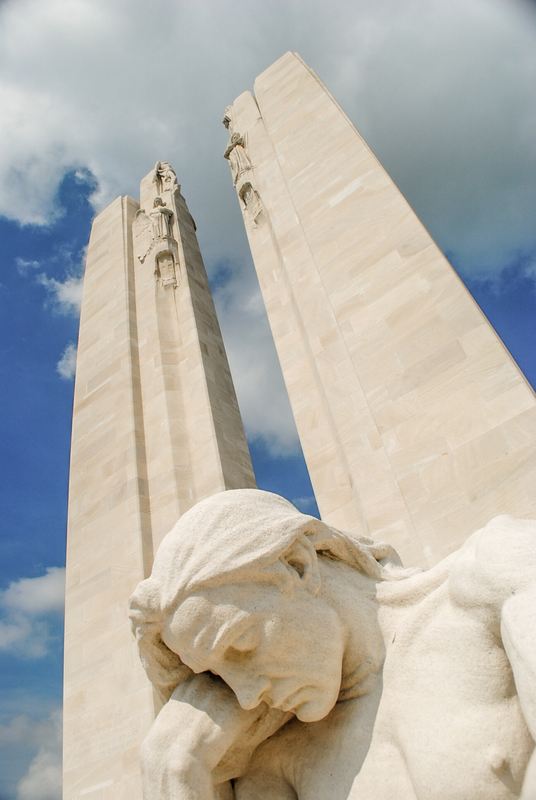 Mausoleum at Canadian Cemetery #2, Vimy Ridge, France. Looking south across French farmland from Cemetery #2. 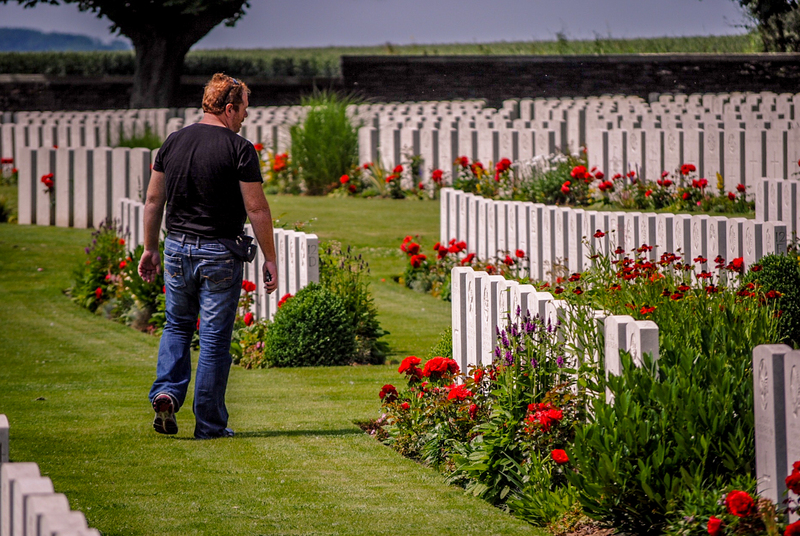 Lloyd Reid at Cemetery #2, Vimy Ridge. Row upon row of fallen Canadian soldiers. 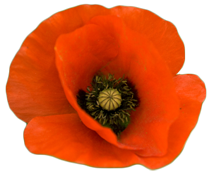 Please attend the the Remembrance Day Parade on November 11, and if you’re in Newfoundland, the Memorial Day Parade on July 1, lest we forget. 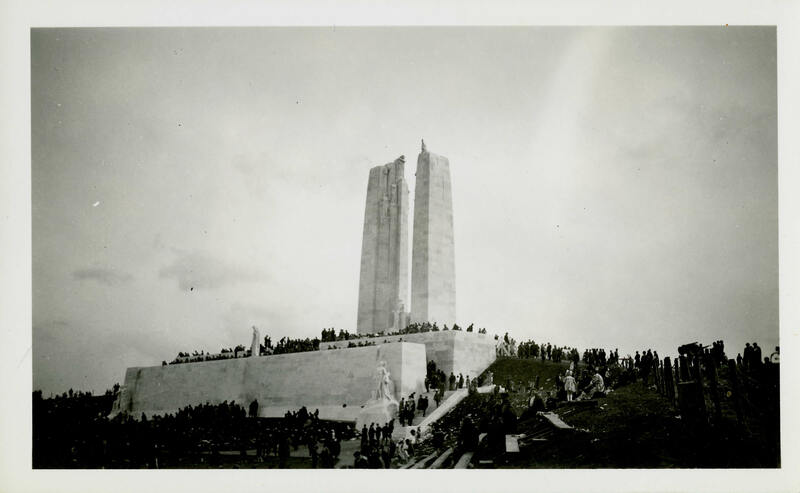 Information about Canada’s victory at the Battle of Vimy Ridge on Wikipedia. 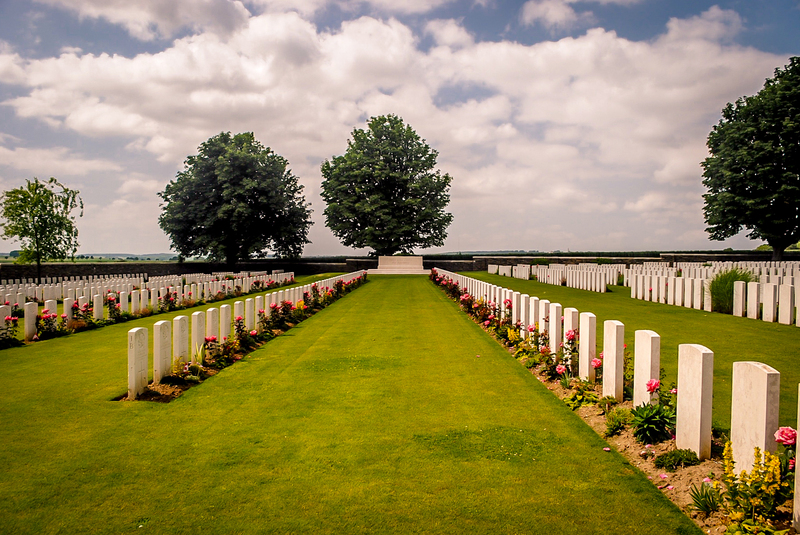 This entry was posted in Europe, Photography, Travel, Uncategorized and tagged canada, france, military cemetery, Nov 11, november 11, remembrance day, the great war, Vimy Ridge, war graves, war memorial, world war 1. Bookmark the permalink. This is a wonderful tribute to the men who gave all. Thanks, Chris. 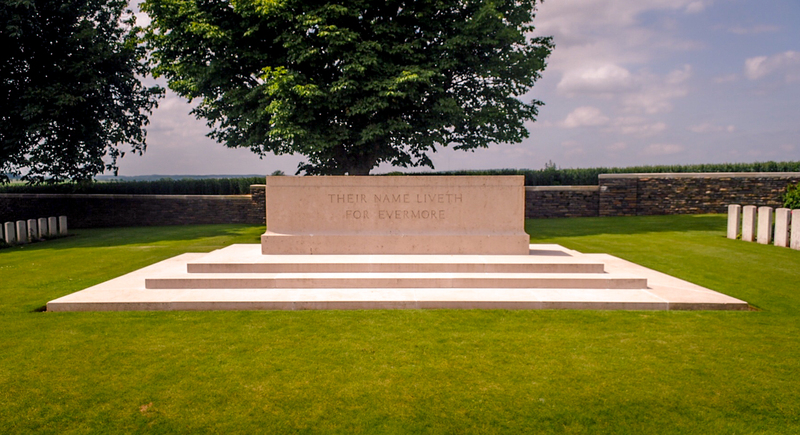 Ever since visiting there hasn’t been a day when I haven’t thought about our experience in the Somme. What an experience, thanks for sharing. 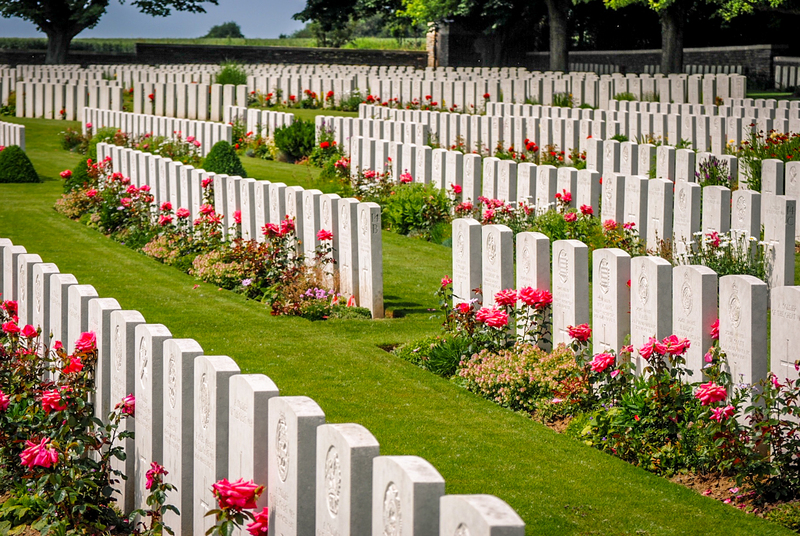 We owe such a debt to those whose graves you visited, everything we hold dear is because of their sacrifice. Thanks, Sarah. You’re absolutely right. That was a beautiful post, Paul. Thank you for sharing. Truly an emotional journey! Thanks for this, Paul. Great photos and accompanying information. Each of my 3 trips evoked so many different emotions and I hope someday to go again. Every Newfoundlander and Canadian should have this on their “Bucket List”! I still choke up when trying to sing The Ode or O Canada. We will remember them. Je suis Français habitant juste à côte de Vimy à lievin, je suis garde d’honneur de notre dame de lorette. J’ai simplement à dire MERCI cousin canadien ! Pour me rendre chez ma mère vivant à bailleul sire berthoult près de thélus je passe devant le monument. Le soir il est majestueux avec son éclairage entre les arbres de la forêt ! c’est chaque fois un moment fort que je ressens. , un moment d’apaisement . et de respect .